Operating theatres in Merlin Park Hospital, which have been closed for six months, are still not open, despite having undergone repairs, resulting in some 1,500 patients still awaiting operations. The figure of 1,500 patients who have had their surgeries postponed, has come from figures given to Independent Galway West TD Catherine Connolly by the hospital. Of this number alternative arrangements were made in UHG for only 88 people. 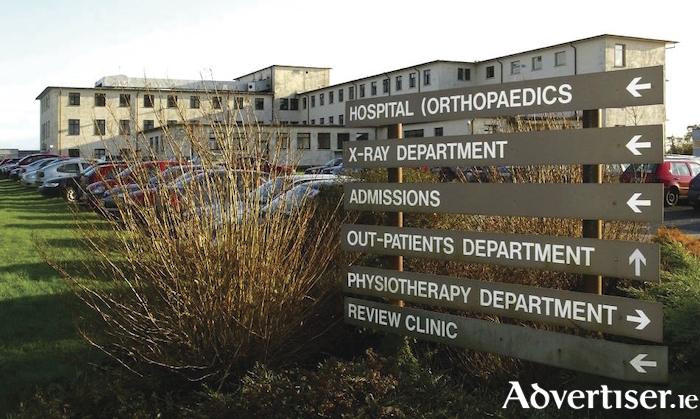 “We are approaching six months since a leak in the roof caused the closure of two orthopaedic theatres at Merlin Park hospital and still no clarity on the matter,” the TD said. Also, despite repairs having been completed for some time, it has been confirmed that the theatres cannot be used for surgery. An expert clinical team found the existing theatre design does not meet current surgical standards. Dep Connolly has asked how the theatres were operating “prior to the leaks and why an assessment by an expert clinical team was not carried out prior to the repair work”. In October 2017, the hospital confirmed it was pursuing the option of modular theatres as a stop-gap measure. However, Dep Connolly has pointed out that six months later, there is still no sign of the modular theatres. She has now tabled a further series of questions to the Minister for Health, Simon Harris, regarding the number of people awaiting surgery, the total number seen in UHG, and whether other hospitals have been used to reduce the number patients awaiting surgeries. She is also asking what the plans are for the two closed theatres and if the long-term plan is for surgeries to be carried out in the modular theatres.